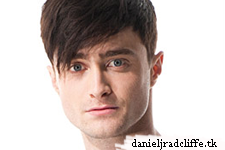 yes, Daniel is coming back to the London stage! 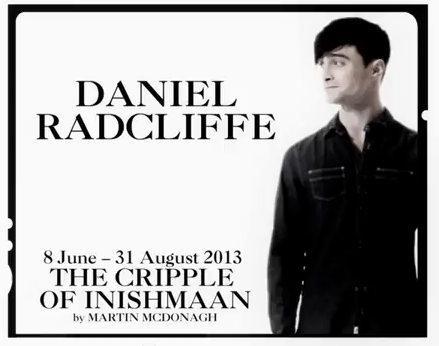 (definitely something I had been hoping for personally) The Daily Mail & The Michael Grandage Company confirmed it. It will all officially start 8th June 2013 [until 31st August] with a production of Martin McDonagh’s called The Cripple Of Inishmaan, with Dan in the title role of "Cripple" Billy Claven. Cripple Billy, orphaned since birth, just might have found a way off the Isle of Aran and a route all the way to Hollywood if he can persuade a small community of Islanders how much he wants to realise his dream. Martin McDonagh’s comic masterpiece examines an ordinary coming of age in extraordinary circumstances and confirms his position as one of the most original Irish voices to emerge in the second half of the twentieth century.